"Excellent alternative to table databases." It is a tool that is in development, and there is still a long way to go, to be able to do all the work in it, currently we only carry out some tests within this system, since it is not so easy to adapt to it, we have very little time with This application, but we hope it will be a great utility to our service, in a short time. Before starting to use this application, you must perform different investigations on the web, and look for all kinds of information about databases Nosql. Currently it is a storage alternative, to which we are migrating part of our information, we have realized the versatility of this system, and the different uses that we can give to the NoSQL databases, so we hope soon it will be, our primary storage medium. A decent choice for extensive volume storage is MongoDB, already I inquired about a little to realize what might be the best programming for my tasks, the high volume, versatile and with extraordinary MongoDB security forms were what drove me in my choice . The NoSQL highlights and database have favorable circumstances for report handling and shorter recuperation time in case of a disappointment. I have not discovered anything I don't care for yet. Everything is great. Its exceptionally simple to learn mongodb. You can begin working with it genuine fast. Utilizing it with nodejs makes it considerably progressively simple. There are numerous instructional exercises and demo venture you can discover on the web. Mongo DB is an incredible storage software with a huge database designed for powerful, easy and intuitive documents, after storing the documents it is easy to search for them by means of the name given to them. The database of Mongo DB is known as NoSQL, which is a very useful tool. As not everything is perfect sometimes I lost information, and the database starts to fail once it exceeds 100 GB, although I think that very few people have reached this point, so the software in general is pretty good . Mongo DB is the best option for companies that handle a lot of information and require secure document storage. In addition, it is compatible with many devices for a better experience. Being the manager of marketing supervision of the company Linio Group daily tasks were tedious to classify and once they were saved over time it was almost impossible to find it in minutes, taking into account that time is important in any job, the main thing is to have software that allows you a better development in your area of ​​work and Mongo DB offers the best tools to carry out all your goals. "Mongo software optimized for query analysis"
The management of MongoDB is a little complex, they should be strengthened with instructions, videos and others to have it available to support us to use this program. - I was able to implement a polyglot solution combining MongoDB and Neo4j, a graphdb. The architecture has not fundamentally changed since (Aug 2013) and we now serve over 1 million users a month. And we have a lot spare room to grow with, with no major db changes. Our solution has scaled period, could not have done it with a relational db. If you are startup, you can't make a better decision, as long as it fits your business case. The flexibility of MongoDB allows your schema to grow throughout the life of your company. Mongo is very well suited for a changing and evolving use case (in terms of objects and properties). - Solved the problem of search in the bus and train industry, we've been a pioneer in the field. We have build an entire platform that standardizes the access of bus and train information. An excellent software, one of the things that I like most about mongo is the enalce between database, a fairly simple aspect is to make the correlations, it does not use a very technical language, it is quite light and it is possible to implement it in medium equipment. performance. The only aspect that can be improved is to relate the data tables in case a database is made with the old correlational model. The tool interface could be a bit simpler though it's not bad, otherwise I have nothing to criticize the software. Excellent database software, in my case for the management of information in the education sector I recommend, simple, safe and does not require sophisticated equipment. I manage the data base of the department of computer science in a house of studies, mongo allows me to handle a great amount of information of the students quickly, the management of the application is super simple, as well as the realization of the data bases. "I'm happy with your large database"
A good option for large volume storage is MongoDB, previously I researched a little to know what would be the best software for my projects, the high volume, scalable and with great MongoDB security processes were what drove me in my decision . The NoSQL features and database have advantages for document processing and shorter recovery time in the event of a failure. This software is not yet fully developed, it is a new technology, but seeing the steps you are taking, you trusted that your team is doing the best job for the users. Effective, well complemented and without much effort, MongoDB has been the best decision for the storage you wanted, security must have an authentication and that is a great feature. "The Best platform to store data in JSON forma"
It stores data in flexible, JSON-like documents, meaning fields can vary from document to document and data structure can be changed over time and the uniqueness of the _id parameter helps to get or retrieving data easily ,Indexing, queries, application integration and data migration.The relevant technical considerations, such as differences between the relational and document data models and the implications for schema design.MongoDB is a designed for huge query and data storage. Its performance is mainly based on two key value that is design and scale out. MongoDB uses the document as the basic storage unit. In the relational model, the data will be stored in an individual table. In document model, they are saved as one document and its performance is much faster compared to relational query.It also provides ACID properties at the document level as in the case of relational databases.It supports replica sets; in other words, a failover mechanism is automatically handled. If the primary server goes down, the secondary server becomes the primary automatically, without any human intervention.MongoDB can be a cost effective solution because improves flexibility and reduces cost on hardware and storage. If you have an application that performs lots of writes, Mongo isn't a great solution from my humble opinion. As the data size grows, my team has applied TokuMx to speed up Mongo. "The best NoSQL database on the market"
I learned MongoDB as soon as I started my job and love it more as I learn more about it. As a database service, it provides stable, secure, available service. We implemented it across the enterprise for some NoSQL use case. It also has great data security strategy. P-S-S, a.k.a. primary, secondary, secondary data layout secures the data from being lost. That is the killer for database. Even the log server has PSS structure layout. MongoDB is also well-documented, most of the cases can be found in their document. They can even send trainers to your company if you need. MongoDB has great manager too. It can indicate the health status of your servers, clusters, connections, storage, etc. Overall, it is a great choice for NoSQL server. I have not found anything I do not like yet. Everything is wonderful. For people who need NoSQL service, MongoDB is the best option. For NoSQL services. We have stream data need to be stored and analyzed. 1. Easy to create Schema , Relation between Collections. 4. Setting up relation between collections is more easy as compared to traditional SQL based Database. You need to separate IDE such as Compass , Studo3T to view collections , if you are not good in CLI to manage DB. I recommend MongoDB to all Mean Stack Developers. MongoDB is very compatible in MEAN Stack environment , and I am MEAN Stack developer , so using Mongodb I have solved my DB issues. replication is easy, sharding is very easy too. MongoDB scales horizontally using sharding. The user chooses a shard key, which determines how the data in a collection will be distributed. The data is split into ranges (based on the shard key) and distributed across multiple shards. (A shard is a master with one or more slaves.). Alternatively, the shard key can be hashed to map to a shard – enabling an even data distribution. MapReduce can be used for batch processing of data and aggregation operations. MongoDB is not relational so you lose all the capabilities of relational databases. No joins. You design as if they were never an option. It scales well in a narrow range but other NoSQL solutions are better at scaling. Sharding is annoying, complex and seems like it was bolted on. It uses eventual consistency, which is good and bad. No transactions except at the record level. If you want a transaction you have to fit the whole transaction into a single record. Hard to secure properly without going with an Enterprise license. There is no patching, you have to do full upgrades and full upgrades are issued several times a year. So you have to build a patch schedule around those. There is no guarantee that your upgrade will work with your given driver so tests must be scheduled before upgrading. Affordable, fast, and easy to install and configure. You can download and install the software within minutes. Still in its' infancy, support tools and advocacy programs are still new and developing. I recommend benchmarking against your current application performance first. I would bet it would out perform reads on your current application. Second, take a look at the ease of patching and administration versus a traditional RDBMS system. You'd likely see a reduction in the overhead from that as well. Last, take a look at the cost savings you'd have, and if that is not in the thousands, I'd be surprised. First is some of the COTS applications support not only larger RDBMS's but also MongoDB, knowing we can save a lot of money, we are adopting MongoDB as a viable database solution. We also have SLA's with our customers that require 100% uptime, so our failover times and solutions must meet that demand. "MongoDB is great for industrial automation." Working with flexible schema data is great. Replication is very easy and failover works well out of the box. Performance is very good and helps me focus more on my applications needs. I've never worked with a database which worked so well with so little ramp up time. Some newer features aren't very easy to use. For instance JSON Schema doesn't return a meaningful error if a document fails validation. Also it would be nice to be able to use change streams in local development without requiring every developer to make a replica set. MongoDB allows us to provide hot failover on servers running on assembly lines. That results in enormous cost savings since every minute an assembly line is down leads to high cost. MongoDB also allows us to handle the massive amount of unstructured data coming from plant floor devices. Mongo was extremely easy to get started with. We found lots of resources to get up and running (from both Mongo and 3rd parties) but none were really necessary. The performance for our relatively small (~20GB) dataset is fine. There are a number of cloud services that provide hosted solutions. The fact that it was easy to set up also meant we left lots of default settings for way too long. Coming from a RDBMS world, it was tough to fully understand and apply the aggregation framework that MongoDB uses. Additionally, being a NoSQL DB, not having a schema for our data has burned us many times. For example, before we hardened our code, our dates were stored as Date objects, numbers, Strings, and nulls. If you are looking for an easy NoSQL database to use, MongoDB is a good place to start. However, be aware that the flexibility gained by using schema-less persistence must be made up in code. We are using MongoDB for our primary storage medium. It is easy to use, performant enough for our needs, and easy to find help and support for. "Mongo DB is the best nosql type which I have used till date." There are many things which I personally like about MongoDB. Some of them are : Its very easy to install and get started with MongoDB. It provides very easy Indexing. Its a very good option if you want to deal in large volume of storage. actually I once thought my data was lost while I was using MondoDB. But later found out that I was exceeding my limits and the data was safe. Also while using JSON schema , it doesnt return meaningful errors, it just shows error. Its very easy to learn mongodb. You can start working with it real quick. Using it with nodejs makes it even more easy. There are many tutorials and demo project you can find online. Our main source of storage is Mongodb. We are using it for many apps for storing data in cloud for apps and websites. And Mongodb is pretty fast. I really like the document store idea. I like how quick u can go from idea to a working model. Sometimes it feels inflexible when compared to traditional RDBMS. Also, i found the security documentation lacking initially although this is much better today. You cannot be as verbose with your queries by any means and related data feels clunky. the barrier to entry is really low, you can spin up a working demo real quick. Nodejs is a great way to test this out, take a look on github and on the mongo website for some skelton projects to get you up and running quickly. Storing app data in the cloud on on mobile. "MongoDB and itds new cool features!" * Native Graph Processing - special purpose graph databases do a good job at storing and querying graph data. But often you want traverse graph data directly in the database. With MongoDB you can process, query, and analyze in real time, without the complexity of duplicating data across two separate databases. * Improvements for Visualizing MongoDB Data - The complete connector has been reworked and offers now improvements in performance and scalability. Get ready to understand the concepts of noSQL databases first. Understand to "Think in documents". If not you may have a rough start. I deal with huge databases, especially the connection to Spark and the new BI Connector in combination with the new aggregation functions helped me already to get things done faster than in the past. MongoDB is a NoSQL database which has the ability to handle large unstructured data. It's a flexible database i.e. schemas less which gives us a freedom to store data of different types which we were not getting in SQL databases. Another mani benefit which i have seen in MongoDB is Sharding which allows us to distribute the large data to the several servers connected to the application. Another main thing was Scalability as we were dealing with loads of data, It is a horizontally scalable database. I would not say i dislike but it depends on the use case that we are using. First thing, JOINS are not supported which is the backbone of SQL databases. Another thing is the maximum document size which can't be greater than 16MB. I really don't understand what's the concept of this limit. If your data is not structured/planned/fixed and complex to handle and large data , you should opt MongoDB . We are trying to use a database in which the schema is not fixed and can be changed over time which is not easily possible in SQL database. "Perfect database for prototyping web services in Java then quickly going into production scale"
Unlike SQL databases, MongoDB's document model makes it very easy to develop new software ideas in Java and then making them persistent. Using the Morphia open-source library, we can easily map our Java classes and persist them in MongoDB in the same 'shape' making it very intuitive to understand and optimize the data design. Coming from an SQL world, there is necessarily a bunch of new terminology and technology to understand. All of my previous experience about optimizing SQL databases no longer applies. 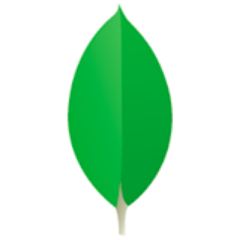 MongoDB is a very mature NoSQL solution - perhaps the only ready for critical enterprise use. We have been developing translation memory systems for internationalizing e-commerce websites in real time. The enormous amount of textual data was overloading MySQL. Changing the design of the system - adding a fields or changing an index - was literally taking days of 100% CPU and made changing the production system a nightmare. With MongoDB we can quickly iterate, add new fields - change the 'shape' of the documents in the live system, test from our development environments - all without affecting the behaviour or performance of the live system. "MongoDB, one of the best NoSQL solution"
With such as schema free solution of datastore, you can make quick evolutions of your application without too much technical constraints. All developers become rapidly competent to evolve the applications. Major benefit: it reduces the time to market : from the idea to the deployment in production, it can be a question of hours ! MongoDB is a NoSQL database and the best part of mongo is you can save any kind of data without any headache of maintaining a relationship among them. MongoDB is very easy to setup and installation you just have to download the package and set the environment path and it is ready to use. MongoDB will create a new record every time you update a record. Also you have to learn mongo query language to query the database in case you want to search the data. we are storing petabytes of data in mongoDB which does not have any relationship with each other. They are just the changes happening across the organization. As the data is very huge if we use the normal RDBMS kind of database it will be very slow. "A quick and powerful Database solution "
- Easy Replication, exceptional read-write performance with our application. - Great documentation available along with educational material accessibility. - Works flawlessly on different OS - Windows, Linus, CentOS. - We use MongoDB as a file system, along with data replication features which is pretty cool. - Scaling needs some advanced experience with the tool. - Need to learn syntax since most of my team comes from Oracle SQL Background. - Unable to leverage relational DB capabilities. - Understand your need by evaluating and analyzing your data. If it's relational, you should go with a relational DB, it will be better in the long run. - Understand that MongoDB uses noSQL database design and is different as compared to the traditional relational DBs. - Mongo is a great schema-less option. - Simple yet very powerful document DB. - Since MongoDB can scale tremendously without compromising on the performance, it's worth while to migrate. - Pretty great for rapid prototyping and automatic shredding as the amount of data in your database continues to increase. - Major performance improvements were visible when we migrated to Mongo DB. Query rendering was much quicker. - The schema-less design helps us to store large amount of data seamlessly. - MongoDB compression helped us improved network latency and the application became much faster compared to earlier. We've used mongo in three different projects: in to of them for data serialization and for schema analysis for the other one. The query API is powerful and expressive and object serialization (with Morphia, I am sure there are other great frameworks) is seamless and with minimal annotation overhead. MongoDB Compass tool that comes with it is fantastic for statistically analyzing the schema of arbitrarily hierarchical data. I would probably add a bit more flexible wildcard-style query capability (i.e. when you don't know a specific name for a field, but know a little about the structure it should satisfy), but I'm being picky. Get up and running in no time with just little knowledge of JSON. Natura language understanding. Mongo's support for heterogeneous documents has been very handy. "Great Flexible solution and great for developers "
MongoDB has a great developer reputation for being a solid scale able DB. It's very good for horizontal scalability. It allows us to scale out instead of scaling up. It is easy to tune box. The User bases are quite large with good documentation and user blogs. Database setup and user management needs some work to be done. Its not as easy as the other products out there. Loading large amounts of random data as the underlying file format is really inefficient. Replace expensive software for Content management– Used mongo to aggregate, store, and serve metadata for customers and internal users. Scaling is built into the database. Mongo is very easy to get up and running. I also enjoy working with the dynamic non-relational JSON collections. It is quick and easy to work with which makes it great for rapid prototyping. The database is also entirely free. Another aspect I enjoyed about using Mongo was the availability of free educational resources. I enrolled in MongoDB for .NET developers which quickly got me up to speed and I was able to quickly start working efficiently with Mongo at work. The collections used in Mongo don't have support for joins, so if you're working with very large sets of data where you need multiple joins, you may be better off with a relational schema. I recommend Mongo to any developer. It is very quick and easy to pick up with only a small learning curve. Also great for rapid prototyping and for putting together a proof of concept. Mongo is also great for scalability with the concept of automatic sharding as the amount of data in your database continues to increase. I currently use Mongo as a document storage repository and it has been great thus far. Since I am only working with documents, and not multiple large sets of data, the dynnamic JSON collection structure works very well for this. "MongoDB ruined SQL databases for me"
The flexibility of document focused databases makes it easy to change or update schemas, hold data with varying sample rates or different, non-subset fields. High performance drivers to native data structures in other programming languages. Specifically, if I want to store time series data in Mongo, then retrieve in Python, the list of queries has to be iterated through to pull out the individual data fields. Some third party solutions provide a better solution. Be sure to start with later versions of MongoDB, updates in the last year have really improved indexing performance and flexibility of aggregations. Some SaaS deployments of MongoDB are too far behind. Data storage for IoT applications. SQL is certainly popular with business insight applications, but rolling out new and developing products in a start up meant we could not future proof our data collection up front when working with SQL databases. "Good interface and data storage"
MongoDB is a database that allows queries and get answers quickly, innovative and with great tools. Its features are designed for excellent performance for project uses. I can not find a flaw in this software, all the help given is more than enough to be the best in its category. We improve our DATABASE system with MONGODB, it makes our projects faster and more durable. It's simple query language and drivers make it easy to learn for adopters while still delivering the necessary power needed for complex analysis. As a platform, it can handle almost instataneous queries over large datasets and still not give up on write performance. Some of our scenarios analysis and use cases couldn't be performed on real time on a traditional RDMS and MongoDB empower us to do this. If you take into account the CAP theorem* MongoDB is clearly positioned as CP solution, and while some solutions such as Cassandra can be tuned to allow the developer to change it's priorities using read or write concerns, MongoDB will never let you write to secondaries, this way you cannot favour Availability over consistency, so for any application that requires instantaneous failover it is not recommendable. Our latest product to be delivered with MongoDB works on enforcing call center workers schedule and monitoring all possible events on the operations, the real and alerts could not be done on the traditional platforms without a massive work on optimization and the performance we have today would be unachievable. "A powerful and simple data store." I really like writing aggregation queries. The performance of these queries combined with the rich set of operations makes producing data sets that give clarity to our data a easy. I dislike the arrayFilter update syntax. I am really glad it exists now, but I do not find the syntax very intuitive. This is my memory of it, at least, that the use of the variable comes before the definition of it, which feels a little backward. High availability. The replica sets are a cinch to setup and have provided our customers with access to their data when hardware issues invariably drop up in the field. "Good for starters and heavy read applications"
Secondary indexes are very useful for query optimization. The self balancing and sharding out of the box is great for people wanting to write a scalable application based on a datastore without needing to know a lot about database scaling. On a write heavy load, mongo does not perform that well. Or well at all. The self balancing sharding kind of breaks down. Mongo keeps on trying to auto balance in the back ground but fails because of heavy write load. Also the default _id field is used extensively for sharding internally so overriding that field causes all sort of scaling issues. I have used mongo as a data warehouse and as a event storage system. One is a read heavy usage, other one is write heavy. The big pro is how easy and quick it is to setup and start using. Con is definitely it's inability to scale with write heavy load. Very easy to get started, with very simple tuning you can get good performance. Designing the data model is pretty straight forward - match the document structures to your find patterns and you'l be fine. default configurations may lead to data loss - not something you want to find out in Production. We've had incidents were data was lost or corrupted due to the way the internal replication works. These are real "corner-cases" but if you need 100% guaranty of your data it's an issue. MongoDB is a very simple to use yet very powerful document DB. - the very simple use cases: configuration management etc. - the very large scale use-cases, for when a single machine is simply not good enough. Since mongo can scale tremendously with very little effort and gives good performance it's definitely worth considering. One thing to note here is that most developers and many DBAs are used to thinking in a relational model and might find Mongo to be lacking in features such as JOINS and might even try to implement it on the application side. - it's not directly related to Mongo as a product but to the fact that it might take an extra effort to make the mind switch to work in a way which is more optimal to Mongo. Our product mainly uses Mongo to store "resources" - mostly things that can be fetched by IDs. mongo is also used as a staging area due to it's flexibility and performance. Last but not least, Mongo stores our Audit information. Mongo did all of the above without any issues. "I used mongodb for small and big sites, always with mongodb"
MongoDB is great because its colelctions are in "json" and it makes it so natural to work with nodejs. I like the ease which you can protoype apps, you just have a bunch of data and throw it at mongo and then you can easily query it. Aggregations are very powerful and I always found the right solution for complex data. There are other document databases which offer a way better integration for relations/joins. That's basically the first question that comes from a guy coming from mySQL which is difficult to explain to them how you would avoid them. if you choose to move to Mongo from a "traditional" RDBMS you have to rethink the way you see "tables", collections in this case. This I guess is the most difficult part to move to mongo. If you need good scalability mongo is a good choice, it is just easy to setup and it just works. We had so much data around and using a database like mongo we made our data more flat, of course our DB size was very big but the performance improvements were visible. The benefit of it was that our pages were much faster to get delivered, data was all there and we did not have to go make 200 queries. "MongoDB - bringing it all in"
With MongoDB, our company was able to rapidly develop and deploy enterprise solutions to problems that had been plaguing the company for years. The ability to easily install and configure on any platform was a major plus as well as the ease of integration into applications with useful libraries made it all the more easier to adopt. One gripe our developers have is about Compass. They don't feel the UI is as intuitive as it could be. The only other issue we've had is with some transactional error messages which don't point specifically to the problem. See above. We are building a common digital platform for business operations around the world, both customer facing and internal. We were able to drastically reduce login time for one of our existing platforms from almost 20 seconds down to under a second. "MongoDB is Simple to Use NoSQL DB"
I've liked MongoDB from the beginning for it's ease of use. When building out a new app, it's no schema nature makes building the data layer a snap. It has very supported clients in pretty much every programming language, so I've never had an issue with Mongo support cross different environments. Mongo doesn't have native support for joins, which can bite you later when your db grows and complex queries would be better served by using a join. With that said, blindly using Mongo for a highly relational project is a reason many people give Mongo bad reviews, but it was never supposed to be used for such scenarios. Although, I admittedly sometimes still use Mongo in highly relational apps because it's ease of use makes up for some of the relational query issues I may have. Also, mongo is password free by default, which unfortunately leads to a lot of users having public facing DBs with no password protection! Lastly, a production environment is pretty complicated to setup properly. For the most part, I'd recommend using a service to manage this for you. So in that regard, a production environment setup could be much easier to setup. Give MongoDB a try. It has a very low learning curve at first, so it's easy to get started. With all devs being familiar with JSON, the Mongo syntax is super easy to pickup. Just do not expect it to be a relational db, because it's not. I love using Mongo in applications where the incoming data to be stored has no implicit structure. This is where a schemaless database shines. "Totally enjoying NoSQL with mongodb"
Since mongodb is schemaless, it is very flexible when working with collecting dynamic data, I use mongodb for an IOT project and it involves storing large amounts of data and performing quick aggregations on a daily basis. MongoDB does this very fast and in my opinion performing time based operations on MongoDB is much easer than on MySQL; I have worked with MySQL and there came a time that my project almost came to a halt because the data queries became so complex and there was drop in performance. That has not been the case with MongoDB. Map reduce was something that took me a lot of time to understand and I just wish there were more resources to learn this. If you want something scalable and fast, I would suggest MongoDB. Providing analytics for IOT devices. MongoDb is a powerful NoSQL DB and has become very performant with the addition of the WiredTiger storage engine. MongoDB is easy to setup and easy to work with in a variety of languages. Editing data is easy, since it is essentially modifying JSON. Joining data can be a bit hairy, so you have to make sure MongoDB is actually the correct solution for your use case. Querying can sometimes be confusing at first when wanting do more than a simple field match. Mongo is a great schema-less option that can allow you to dump your objects straight from your code as-is. This means not having to deal with normalization like in relational databases and having to do joins across collections, since all the data can be tied directly with the object. This requires a different mindset than when designing a relational DB-based project. We use MongoDB collections for storing a variety of content data that powers our website. An object can be a specific product or an article, or configuration data. "Most mature open source NoSQL database"
MongoDB is a versatile NoSQL database, that requires limited training to get started. Querying the database doesn't involve writing complex code, but simply sending a JSON filter. Setting up a production system can be rather expensive for small systems. Setup and maintenance can also be rather complicated without paid tools. MongoDB can be tricky to setup and maintain. I recommend taking a course and/or using a SAAS product. MongoDB has a dynamic schema. This give flexibility to the application, making it possible to easily create backward- and forward compatible versions. The schema does allow the creation of indexes, to increase performance. "Fast, easy to use and scalable"
Mongo is the best option for web based apps and can be used with other databases too. Is a perfect match for applications made on Node.js - and more, his scalabity and speed are amazing, making this database the first choice for startups and other bussiness with core on inovation. My tear are making some integrations with websites and mobile apps and using Mongo DB we can get fast response using sharding and others features. This DB is amazing fast and flexible! "I am developing apps with Meteor.js and MongoDB, my first app was my personal porfolio + blog." Well it is not I dislike, it is more a take care when you as a Linux user were installing MongoDB, it is good that you learn first how to use your terminal, all the commands you need to create folders and give permission when you need it, I am saying this because you may have problems starting, because you need to open two consoles or terminals, and in one you need to write and enter mongod to start the server and in the other mongo to start the MongoDB shell, then when you finish you need to stop first the mongo shell and after the server. Fast scaling and easy use, for what I need when I was developing my portfolio and know for my Capstone final Project I want a different version to test how the system operates within a lot of users. "Welcome to the World of NoSQL"
Unlike traditional relation DBMS, MongoDb works on NoSQL. It do not use tables to store data, instead you can store JSON documents directly in database. Work awsome with Nodejs, as working on JSOn will not require any type conversion. You can store data directly in database. Its query speed is also very good. For a complex system, schema designing and changing is a huge task. Also for scalling and shrading, you require an experienced developer. It saves a lot of time, also for some use cases NoSQL provides far better performance than SQL. "I'm in love with it!" schemaless database, document database, fantastic to scale out. great management of replica set and sharding...i love it. Nested document and index creation, it's fantastic the power of this database. It's great that you can evolve your database simply adding tags/values/elements in your newest json records; don't worry about tables structure and so on. Please consider that there's alsa a mongodb university, with free online courses for developers (.net, python) and dba. what else? nothing, at the moment. really, I'm using it from four months and i've never had a problem with it. Only i'm having some trouble managing a lot of windows shell, but, hey we're dba, not interface designer, right? take a look at replica set, sharding, indexing features, they're really great. Powerful aggregation tools, great documentation. GridFs is one of my favorite features. I'm amazed at it's speed and ease of use. Some non-obvious syntax with variables in pipelines. Operations on arrays of sub-documents can be confusing. Fast data retrieval and flexible data models are quite important to us. Our software is used on assembly lines and those two details are key to our customer's success. MongoDB has been a perfect fit in those respects. Uptime is also quite important to us, so the ability to replicate and fail over in Mongo is also exactly what we need. "If Future unknown go for it..."
Mongodb is a NOSQL database ie. the user does not have to define the schema. Due to this it is a good option for startups or companies who deal with unknown and unstructured data. Mongodb is quite easy to use and get started with a good community support. In Mongodb you wil have to deal with transactions yourself . Since there is no schema , referential integrity is not maintained. Also database consistency is not maintained here. This needs to be done by the user itself. On the other hand these things are much easier in SQL db like Postgresql. If you are not sure about the attributes of your data or while dealing with unstructured data , then mongodb is a very good option. It helps to start quickly. But unless you are not sure of attributes try to use SQL database because data integrity and consistency is much easier here. Currently we are dealing with large amount of data , which is generally use generated. Since we are not sure about the attributes of the data , mongodb was a very obvious and good choice for us. It's quite fast and reliable. "A Simple and Elegant Way of Working With Databases"
The native map reduce tools have "cut the fluff" and let my solution to another level, without having to count on many different third party tools. It's as simple as creating a prototypic script. I wish I could use a native GUI tool whereby I could rely on. Free open-sourced tools are not optimal, whilst one specific solution has one good feature, it may lack another just as important one. Paid solutions are great ones, but many times expensive ones too. If you are considering using MongoDB as your main database solution, it's definitely worth a try. Not just a hype thing. Nowadays so many web systems' persistent data out there are simple relational ones, without even the prospect of becoming anything else. In that case, the hassle of mapping and creating the systems' database is cut down manifolds. Even having to change later on the database's structure is easy as pie. Something not as simple to perform in a relational database. I've been dealing with a heavy load of data whereby a big data kind of solution is being built. While trying with many other relational databases, I have felt the lack of native support to perform simple BI tasks, such as the aforementioned map reduce feature. Now, by using MongoDB, I have been able to create on-the-fly BI Cubes as simple as creating a quick script. "Lifesaver or at least product-saver"
MongoDB is very easy to learn and the BSON format make is super clear to read and interact with. The most important for us was the sharding feature and the fact we could take advantage of atomic operations. It's not a general purpose DB and you need to plan heavily before creating new db schema. We were have a lot of performance problems with our write-heavy application and MongoDB helped us save all those problems. The installation and maintenance was also very straight-forward and we were able to pick it up with ease from the online documentation. "MongoDB is great for unstructured data"
The ease of operations, the ease of development and how well it fit into our agile IT org and our co timeous delivery model. Non-ACID compliant which has limited MongoDB use cases that might have otherwise fit. Make sure that your use case fits. Don't try to put a square peg in a round hole. Know your data, if it's relational, you should go with a relational DB, it will be better in the long run. Data from multiple sources that is slightly different, in a relational DB, the data model would become unwieldy quiet fast, but MongoDB was not o my more performant, but also allowed us to realize storage savings through compression. "Scalable but difficult to establish schema and relations on"
We chose this DB for it's scalability and flexibility for a big data platform. It can run multiple nodes as one instance. Quickly ran into issues with data integrity and dependency handling. If you don't have a lot of data, please don't bother with this database. It will be a nightmare with all the data ending up in weird states and messing up your application. Scalability and robustness. We can deploy multiple servers when running out of disk space, and multiple nodes so that if one server goes down, we still have data. "Fantastic DB for all aspects of the technical lifecycle"
Ensure it meets your requirements, which I guess can be said of any technology, mainly that whatever framework your using integrates well with MongoDB and has all the functionality you need it to have. In particular, how important are lots and lots of joins? "Excellent platform for web-applications (MongoDB is web scale)"
Though adopting MongoDB can provide tremendous advantages, switching to a schemaless paradigm also can have it's challenges. Keeping your data clean can become very difficult and shouldn't be underestimated. Secondly, not having any join functionality can make certain tasks very cumbersome. That's why I can't wait start using MongoDB 3.2 with Document Validation and $lookup. MongoDB allowed our engineering team to build a web application that horizontally scales with the business. * We monitor all MongoDB reviews to prevent fraudulent reviews and keep review quality high. We do not post reviews by company employees or direct competitors. Validated reviews require the user to submit a screenshot of the product containing their user ID, in order to verify a user is an actual user of the product. Hi there! Are you looking to implement a solution like MongoDB?